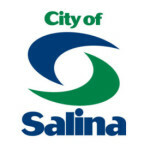 The Salina City Commission will convene for the Salina Field House Qualified Active Low-Income Community Business, Inc. (QALICB) annual meeting on Friday, May 18 at 8 a.m. in room 107 of the City-County Building, 300 W. Ash St. The City Commission will recess into executive session to discuss confidential negotiations relating to the potential acquisition of the parking lot located at 127 N. Fifth Street. The full agenda and packet can be found on the City of Salina website (salina-ks.gov), and accessed by visiting the City Government heading, followed by City Commission and Current Agendas and Minutes sections.